Our latest reader has posted a questions about new home construction loans in general and is also asking why he may not be eligible for a loan. He and his wife make a relatively good income. they have stable jobs which they have been at for 10 years and they have an excellent credit rating. They also have $30,000 to place as a down payment on the property and they already own the land. they have the plans, but have not proceeded with obtaining building permits or hiring a contractor as of yet. He wants to know why it is so difficult to obtain a new home construction loan and what he can do to improve his chances? New home construction loans are much more difficult to obtain even when you have everything lined up, a great reputation from a credit perspective and also from a builder perspective. Individuals usually lack in the latter category and many banks will just shy away from them, thinking there is just too much risk associated with this type of loan. There can be a lot of risk in terms of the builder completing the home as well as schedule issues that many banks are just not willing to take on. They have stable jobs and income. Questions about New Home Construction Loans. We get questions all of the time about different kinds of loans and financial situations. If you have a question about new home construction loans or any other type of loan, why not write us a comment with your question and we will try to answer it in our next post. There are no questions that are not important or too silly. Getting the right answer can save you a great deal of money, however as most people realize, your situation will be different from everyone else and you need to fully research your situation to make sure that you make the right decisions for yourself. We received a question about new home construction loans from a reader and will answer his questions in our next post about home construction loans. 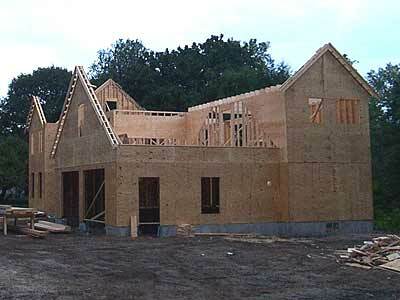 We are planning to build our own home using a number of contractors to help us. We are having trouble finding financing for construction of our home and we wondering what we are doing wrong since many of the banks are unwilling to provide financing.